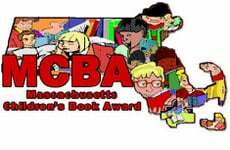 Salem State University announced the winner of the 2016 Massachusetts Children’s Book Award (MACBA) earlier this month. The One and Only Ivan by Katherine Applegate (Harper Collins) received the most votes. DCD’s fourth and fifth graders had voted for this as one of their top choices, although they awarded it an honorable mention. The story, published in 2012, is told from the perspective of Ivan, a gorilla in captivity. When a baby elephant is added as an attraction at the same shopping mall, a rare and poignant friendship develops between the two animals. This book has already received many awards given by adults. Many children are touched by the story, even though there are many sad aspects to it. Two of the MACBA honor books were chosen by our students in a tie as their number one choices. Mr. Lemoncello’s Library by Chris Grabenstein (Random House) and The Wishing Spell: The Land of Stories, #1 by Chris Colfer (Little Brown) were immensely popular. The sequels to both books are in high demand in our library. Which freckled CJ’s shirt and dripped down his nose. “Trees get thirsty, too,” his nana told him. CJ looked for a long time but never saw a straw. These are the first three pages of Last Stop On Market Street written by Matt de la Peña and illustrated by Christian Robinson (G. P. Putnam’s Sons). This picture book was just chosen for one of the most prestigious awards that is given by the American Library Association. 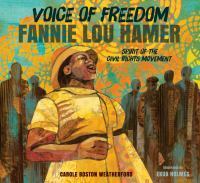 Yes, it was named as an honor book for the Caldecott Award where the illustrator, Christian Robinson was recognized for excellence in illustration. 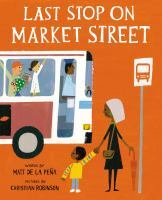 The book was also named as an Honor Book for the Coretta Scott King Illustrator Award which recognizes “… outstanding African American authors and illustrators of books for children and young adults that demonstrate an appreciation of African American culture and universal human values.” More importantly, Last Stop On Market Street was also awarded the 2016 Newbery Medal. 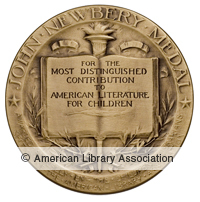 This award recognizes “…the author of the most distinguished contribution to American literature for children published by an American publisher in the United States in English during the preceding year.” The description is taken from the American Library Association’s Newbery Medal page. Over the past two weeks, there has been much discussion on blogs that are dedicated to children’s and young adults’ literature. I wouldn’t say that the pick is controversial in a negative manner, but it certainly has brought out varying opinions. The writing is beautiful, but we (librarians, authors, publishers, booksellers) usually think of the Newbery Medal in terms of a book for older readers. Although the criteria for the award also states, “Children are defined as persons of ages up to and including fourteen, and books for this entire age range are to be considered.” Hmm…this book certainly can be fodder for discussion by our middle schoolers, but would they find this book without being led to it by an adult? Can younger children appreciate it? I don’t have any easy answers to those questions, but isn’t it interesting to ask them? There were also three books that were recognized as Honor Books this year. One of my favorites is Echo by Pam Muños Ryan (Scholastic), which was also named as the Odyssey Honor given for excellence in audiobooks. To read more about Echo, go to my previous post about it. Another Newbery Honor book is The War That Saved My Life by Kimberly Brubaker Bradley (Dial), also the winner of the Odyssey Honor Medal. The third title is Roller Girl, written and illustrated by Victoria Jamieson (Dial Books for Young Readers). Roller Girl is a graphic novel. Every two years, the Librarian of Congress selects an author to be the National Ambassador for Young People’s Literature. The author serves a two-year term and uses his/her position as a platform to speak and write about lifelong literacy, education, and using books and reading for personal growth. There are very specific guidelines used by the selection committee when they choose an author. The National Ambassador for the next two years is Gene Luen Yang. Yang was born in California, and his parents are Chinese immigrants. His background is noteworthy because Yang draws on his family experiences in his work. The seeds for his writing and art began when he was in elementary school. He began drawing comics then, and he wrote his first comic book in fifth grade. On his website, Yang said, “Nowadays any kid can make a movie, but back then, it was impossible for a ten year old to make a movie, but a ten year old could make a comic book.” The fact that Yang writes graphic novels is also an important aspect of his nomination. His book American Born Chinese won the Printz Award from the American Library Association for best young adult book in 2007. Boxers & Saints was a finalist for the National Book Awards. Yang’s most recent project is a graphic novel series, Secret Coders, which not only tells a story but also teaches children about computer coding. Twenty-two of our fourth and fifth graders celebrated reading at this week’s Massachusetts Children’s Book Award voting party. In order to participate in this voluntary reading incentive, our requirement for the children was that they had to read at least six of the nominated books. While they didn’t vote with us, the sixth graders have been reading many of the titles as part of their English class. The more books the children read, the better they were able to discuss the strength of the plots of the books. Four children read all twenty-five titles on the list. There was a spirited discussion of the merits of many of the titles. It was energizing to hear the girls and boys recommend the books to each other, as well as comment on similar books or other books by the authors under discussion. The clear winner was Capture the Flag by Kate Messner (Scholastic, 2012). In this contemporary mystery, three seventh graders, who never met previously, join forces when they learn that the flag that inspired The Star-Spangled Banner is missing from The Smithsonian. Anna, Jose’, and Henry team up to try to find this important piece of Americana. When they are snowed in at the D.C. airport, they begin a quest that opens their eyes to more than they expected. The children also voted for “honor books”. These were other books that also received top votes or might have been a second favorite book. DCD’s honor books are The Familiars, Liar and Spy, and The Son of Neptune. The Familiars by Adam Epstein (Harper Collins, 2010) is a magical fantasy about an ordinary cat that is mistakenly chosen as a young wizard’s pet. The alley cat joins forces with a blue jay and tree frog that have supernatural gifts. They form an alliance to rescue their owners. Liar and Spy by Rebecca Stead (Wendy Lamb Books, 2012) is another story about a new friendship that is developed between two very different seventh graders. They track a mysterious man who lives in their Brooklyn apartment building. Rick Riordan continues to be a favorite author with The Son of Neptune (Disney, 2011). After many read this volume in The Heroes of Olympus Series, they discussed the strengths and weaknesses of various Greek and Roman gods and their half-blood children. We look forward to the results of the statewide voting which will be released in a few weeks. When the professionals on the award committee review books that are under consideration, they have much to discuss. Among the criteria listed are discussions of the characteristics of theme, plot, characters, setting, and style. Part of the definition of the award that presents a challenge for the committee members is that the books can be published for readers up to fourteen years old. Thus, books that are awarded and honored can represent a range of ages. This year’s award and honor books are published for our older readers within that age range. It is also an unusual award year because two books, the award book and one honor book, are both written in verse. The other honor book is a biography that is written in graphic form where sequential art tells the story. Crossover by Kwame Alexander (Houghton Mifflin Harcourt) is one of those books that is just plain great. I don’t usually gravitate to novels written in verse, but I knew that I had to read it because of the buzz that it was getting from all of the children’s book reviewers and bloggers. Now, I can’t decide who will enjoy it more – a boy who is a reluctant reader or a girl who is an avid reader. The plot and themes are that gripping. The narrator is Josh, a boy who lives for basketball, but is also always rhyming and rapping in his head. He and his twin brother have been playing with their father, a former semi-pro player, since they could hold the ball. His parents and his brother are as fully developed as characters as Josh is. Adolescence and life present him with challenges that could be insurmountable, but Josh perseveres because of his strong family. While parts of this book are tragic, they are also uplifting because of Alexander’s talented storytelling. The honor books are El Deafo by Cece Bell (Amulet) and Brown Girl Dreaming by Jacqueline Woodson (Penguin). Each of these books deserve a discussion of their own. No, I’m not writing about The Grammy Awards or the The Oscars. 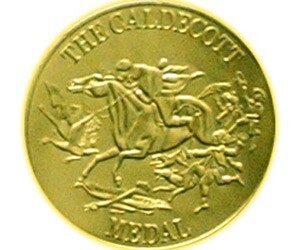 The most exciting event in the world of children’s literature is the annual announcement of the Caldecott Award and the Newbery Award. 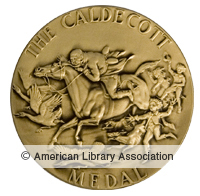 This past Monday wasn’t just Groundhog Day, it was also when the American Library Association announced the 2015 Caldecott and Newbery winners and honor books. 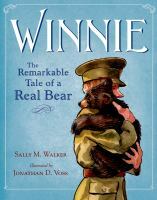 It was a banner year for picture books in 2014, and the Caldecott Committee named the winner and chose 6 honor books. 6 honor books! The Caldecott 2015 winner is The Adventures of Beekle: The Unimaginary Friend by Dan Santat (Little, Brown 2014). Many children go through a stage of having an imaginary friend, and Santat’s story celebrates the joy a young child may have with this special friend. Beekle helps Alice to be brave and venture into the world of real friends, which was previously “unimaginable”. While children, parents, and teachers are often familiar with the Newbery and Caldecott children’s book awards, the Robert F. Sibert Informational Book Award is also announced at the American Library Association winter meeting. The 2014 winner and honor books represent a wide range of topics, but their common denominator is their excellence. 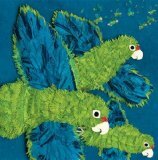 Parrots Over Puerto Rico by Susan L. Roth and Cindy Trumbore, illustrated by Susan L. Roth (Lee & Low) is this year’s winner. I can’t rave about this book enough. Do read my post from January 17, 2014 when I wrote about this book at length. The illustrations alone are worthy of a special award. When these combine with the well-written text, the book deserves its special status. 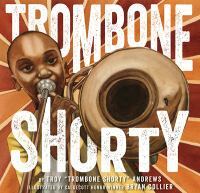 It was a banner year for non-fiction, and the Sibert committee named four honor books this year. Birds were a bit of a reoccurring theme with the awards as Look Up! 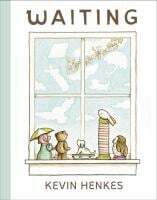 Bird-Watching in Your Own Backyard by Annette LeBlanc Cate (Candlewick) was named as one of the honor books. Budding birders learn how to identify birds by color, shape, behavior, birdcall, and other characteristics. Jen Bryant celebrates the life of artist Horace Pippin to younger readers in A Splash of Red: The Life and Art of Horace Pippin (Knopf). Her story and Melissa Sweet’s art bring this self-taught painter’s art to life. The other honor book was Locomotive by Brian Floca (Atheneum), which was also recognized as this year’s Caldecott winner. All of these titles are too good to be missed by children and adults. On a Monday morning in late January, fans of children’s books wait expectantly to learn about the winners of the most prestigious awards in children’s literature. 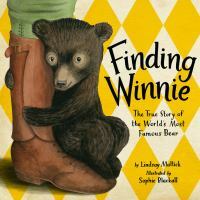 This past Monday, the American Library Association announced the 2014 winners. There were many outstanding picture books that were published in 2013, and I can only imagine the animated discussions that the award committee had. The winner of this year’s Caldecott Medal is Locomotive, written and illustrated by Brian Floca (Atheneum, 2013) This non-fiction title might be called an historical picture book, as Floca depicts a family traveling cross country on the iron horse in 1869. Readers will return to this book again and again and discover new details in the watercolor, ink, acrylic, and gouache illustrations. Three other illustrators were honored – Aaron Becker, Molly Idle, and David Wiesner. Coincidently, all three of the honor books are wordless books, but they are very different from each other. Becker wrote and illustrated Journey (Candlewick, 2013), and he depicts a lonely girl who draws her way into a magical adventure. The watercolors and pen and ink drawings take the readers from her colorless real world to a colorful imaginative one. Idle’s watercolors with pencil outlines in Flora and the Flamingo (Chronicle, 2013) show a young girl and a flamingo who become friends and dance a pas de deux. I wrote about Mr. Wuffles! (Clarion, 2013) on November 15, 2013. Wiesner’s watercolor and India ink drawings tell the story of a housecat who discovers an out-of-this world toy. Kate DiCamillo received the 2014 Newbery Medal for Flora & Ulysses: The Illuminated Adventures (Candlewick, 2013). DiCamillo’s title, Because of Winn Dixie received a Newbery Honor Medal in 2001, and in 2004 she won Newbery’s top award for The Tale of Despereaux. To read more about Flora & Ulysses: The Illuminated Adventures, do check out my blog entry for January 10, 2014. There were four Newbery Honor Books this year: Doll Bones by Holly Black (Simon & Schuster, 2013), The Year of Billy Miller by Kevin Henkes (HarperCollins, 2013), One Came Home by Amy Timberlake (Knopf, 2013), and Paperboy by Vince Vawter (Delacorte, 2013).